Many of us get caught into the day to day routine of a career. We began to lose the drive which once propelled us forward. Therefore, we don’t take steps to improve our careers. However, what are the steps that you need to take? 1. Improve Your Resume – The complacent attitude that can develop during one’s career can discourage resume updating. Nonetheless, doing tasks like keeping up with old references, adding new ones, and keeping a history of accomplishments is vital in career building. 2. Create a Network – It’s important to build a list of professional contacts besides friends you see each day. In fact, your network should expand even beyond schoolmates. You can find some business contacts on social networks. Try to expand on social networks which relate to business as well as mainstream ones. 3. Look For Better Opportunities – The day to day complacency of a career sometimes discourages educational growth. You should be trying to expand your current job skills whether they relate to your current job or some future job. For instance, you could take part-time classes at your local community college or do research on the internet. Sometimes, employers will pay your schooling and sometimes government grants and loans will pay the tuition. 4. Build Leadership Qualities – Don’t be a shy person all the time. Sometimes take on leadership positions. In addition, sometimes volunteer to take on new responsibilites. These new roles may not be leadership related, but can help develop leadership qualities. 5. Develop Your Confidence – Compare your accomplishments to others in your field. In addition, compare your present work to your past work. These actions can encourage one to move forward career-wise. 6. 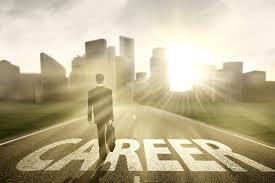 Select a Career Path – You should have a clear goal in mind regarding your career. It’s important to take into account the ways you will reach your goal. For instance, you need to have a summary of the exact steps that need to be taken. Your goal may vary from a new job to a high-level promotion.